Welcome to our website – Tymos Poland! Our company operates in a market since 2003. Since its creation, however, we managed to get a leading position on the European market. We specialize in the production of crepe paper, tissue paper and aluminium crepe. All of our crepe, we offer a wide variety of colors and patterns, which we owe the unique style of own interpretations. For many years we are trying to improve our products and diversify assortment. Apart from paper, we have also in sale fringe corrugated cardboard, bristol and packing paper. What are the features our business? 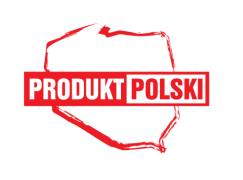 We are a Polish manufacturer and all our products are manufactured in Poland. Our clients are the most important to us! So we would like to establish with you time-consuming partnerships that will benefit to both sides. Our main objective is Satisfied Customer, therefore, still we aim to grow and improve our services. Highest quality at competitive prices – we are trying to reach with its offer, to all those who need very good quality products that are in our offer. Therefore, our pricing policy is adjusted in order to offer you the perfect combination of quality and price. Short delivery times – in relation to that most our products being offered „on the spot” we guarantee you fast delivery. We specialize in the production of crepe paper, so we offer you products, Which are perfected during several years longer presence on the market. We are aware from this that main end-user of our products are children. Therefore, we offer you products that are safe for health. We make every effort to ensure that the quality of paper, from which to we create our products was at the highest level and comply with the standards. Permanent product availability – we have ample warehouse, where there are our products. All of them are therefore available „on the spot”. Products we offer are characterized by high quality. We consistently we apply to all designated quality norms. Due to our experience we have gained during many years existence on the market, we offer you products, which are characterized not only very good quality but also competitive price. The production of crepe paper know practically everything! That’s why we provide you with such a specialized product range. From the date founding of our company have gained a many satisfied customers, and our aim is to get even more of them. Our offer is directed to companies and wholesalers that distribute school accessories. We guarantee the best quality of products and competitive terms of cooperation. Our primary goal is the satisfaction and the contentment of our customers. Having mind the fact that one of the key end customers of our assortment are children, we strive to ensure our products distinguished by the highest quality performance and safety of use. We invite you to get acquainted with the product offer of Tymos Poland.